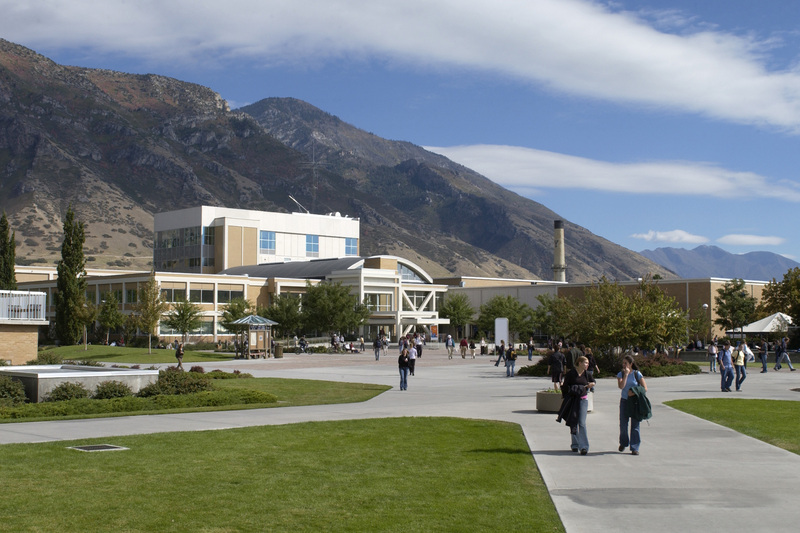 The BYU Testing Center is the largest college testing center in the United States. The Testing Center allows BYU students to have greater schedule flexibility, more time to take tests and the opportunity to learn more in the classroom. Although there are many advantages to the Testing Center, students dread it. They fear doing poorly on a test, forgetting their pencil and most of all waiting in a long line. The biggest problem with the BYU Testing Center is waiting in line. 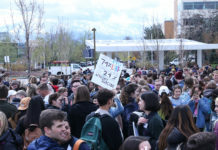 During busy weeks, students report having to wait for up to three hours in line. Having to wait that long is a waste of time that could be spent doing other productive things. Students don’t want to be forced to wait in a long line. A few weeks ago, I took a test and it took me two hours to get into the Testing Center. I was exhausted by the end of my test after spending a total of four hours there. BYU should make changes in order to shorten the wait time. Having a $5 late fee and showing the BYU Testing Center queue online is not enough. During busy weeks BYU should make other buildings on campus available for students to take their tests. The average wait time for the Testing Center should be posted on its website. Students should do their part as well by choosing not to procrastinate until the last minute to take tests. By doing so, they will find the Testing Center lines to be much shorter. By making these changes, the BYU Testing Center would prove to be a much more positive experience. In the modern world, during any type of election, the younger generation is quick to look to social media as a credible source to pick a favorite candidate. This type of behavior was clearly exposed during the 2016 U.S. presidential election, when Donald Trump and Hillary Clinton were competing against each other. Both candidates used social media, and the information spread through these outlets influenced the younger generation whether it was true or not. Political messages were even being turned into memes. The younger generation has no idea to what scale social media has turned politics into a humorous sport. Social media heavily influences how the younger generation thinks politically; therefore, the younger generation should become more media literate. It is critical that the younger generation becomes media literate in today’s digital age. Critically analyzing media, being aware of the facts and not always believing everything you see on social media are key. As the younger generation gains media literacy skills, they will be able to identify the truthful, credible sources within social media about politics. They will have the opportunity to become truly involved in the political society. An individual’s political views are drastically affected by the biased feed of social media. We need to take control of our news feed and not let it take control of us. More young people becoming media literate is how our society as a whole could make better informed decisions of who we choose to lead this country. The younger generation’s media literacy can affect generations to come, creating a domino effect. The future of our nation rests in the hands of the younger generation, which is why it is so important for them to make up their own minds about the information they see on social media. The answer is what we do with the media rather than what the media does to us. 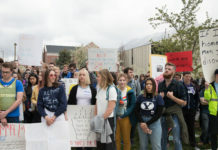 While on the BYU campus I pass by hundreds of students who are all individually unique, with different blends of interests, styles, genetics, aspirations and personalities that mold them. However, I find a disturbing similarity between each of the people I pass: the headphones. The consequences of becoming literally plugged into different stations and realities are that we not only become oblivious to the possibility of new friendships and the strengthening of our existing relationships, but we also subject ourselves to poor health and less overall happiness. Because of our online relationships and viewing we must assess how much screen time is healthy. Our “benevolent” smartphones promise us an unlimited amount of connections, likes, followers, constant entertainment, feelings of acceptance, praise and glorification. However, in reality by overusing these technologies we tend to find ourselves isolated and more like forlorn figures than “kings in a digital paradise” or “Gods amongst mere mortals in the digital age.” All things indicate that we have become far too credulous of our cell phones to determine our own value or worth. Along with a strain of personal relations, the physical and mental health risks are gravely consequential and become more apparent with the ubiquity of screens. If we allow ourselves to be unplugged and adhere to selective screen time viewing, we will see the world through a different lens. We will become more lively, more invested in our relationships, more physically and mentally healthy and find more joy and happiness on a day-to-day basis.